Erika shares her story and the impact of the Global Fund. Erika moved to Mexico from Belize in the 1990s to have the opportunity to live more freely as an openly LGBT person. After she was diagnosed HIV positive in 1995, she was able to access the treatment and services she needed through her partner in Mexico until he passed away. Erika then decided to return to Belize and was shocked at the level of services available for positive people and the discrimination she faced at the medical centres. 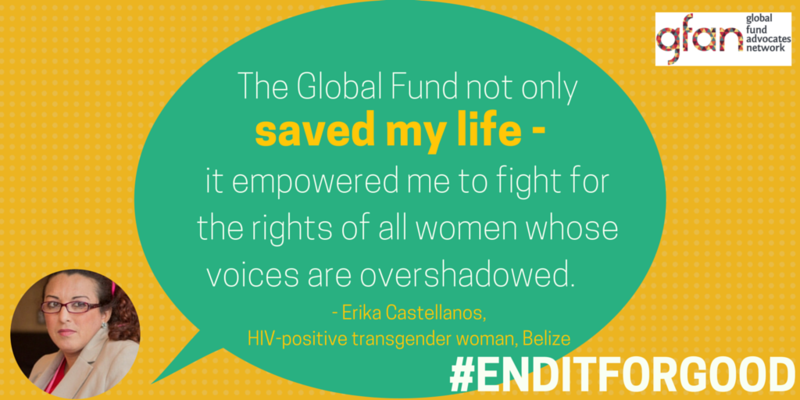 Living with HIV in Belize at the time was an isolating experience for Erika and others. In 2010, Erika and a few friends came together to form a network of persons living with HIV. From 2011-2016, Erika was the Executive Director of the Collaborative Network for Persons Living with HIV (C-NET+) – Belize, which provides psychosocial support, peer education and activities to fight stigma and discrimination. During her time as ED, Erika actively worked to implement and oversee Global Fund programmes in her country and was a member of Belize’s Country Coordinating Mechanism. She now contributes as an adviser to CNET+. Erika credits the Global Fund for improving her ability to advocate for herself and her peers and to help improve health and community systems in her country. 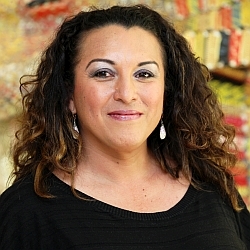 She is currently the Director of Programs at Global Action for Trans* Equality, Vice-Chair of the Board of the Global Network of People Living with HIV (GNP+), a member of the Communities Delegation to the Board of the Global Fund, board member of the HIV Justice Network and a member of IRGT. The Global Fund has supported Belize since 2006. Global Fund grants support the most at-risk populations with essential prevention and outreach services, support the development of a stronger health care workforce and help fight stigma and discrimination.